TOKYO -- Toyota Motor Corp. has delayed the start of production for the fourth-generation Prius from next spring until December 2015, as engineers sweat the details of a new vehicle architecture and the company's next-generation hybrid system. Toyota initially targeted a spring manufacturing launch for the next version of its hallmark hybrid, code-named 690A. That has been pushed back to December, people familiar with the matter say. The Prius confirmation vehicle, a prototype typically built 12 months before Job 1 to ensure performance, is scheduled for around November 2014. Production of the plug-in version is expected to begin in October 2016. Reasons for the roughly half-year delay are unclear. One source said engineers were tweaking the car to ensure maximum fuel economy, possibly adjusting body and chassis issues. 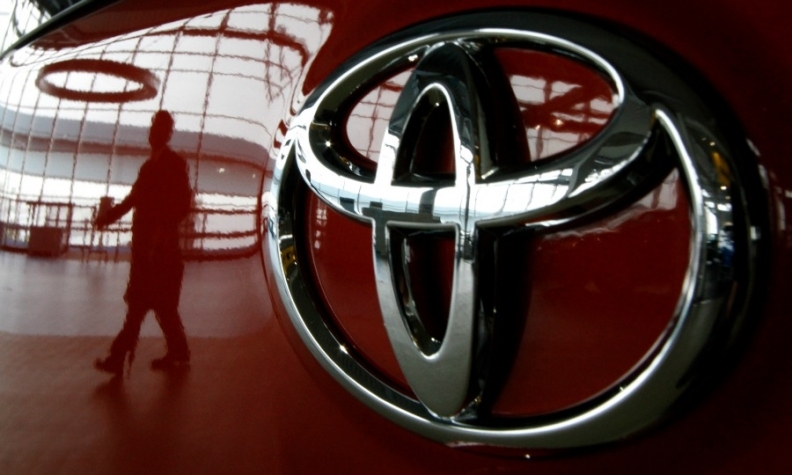 A Toyota spokesman said the company could not comment on future product plans. Hybrid czar Satoshi Ogiso, managing officer for product planning, also declined to comment on timing. But he told Automotive News Europe sister publication Automotive News the car will be a test bed of critical new technologies, including Toyota's modularized vehicle architecture and next-generation hybrid system. Getting the next Prius right is paramount, so engineers may be forgiven for taking time to perfect it. The car, which premiered in 1997, is the world's best-selling hybrid and a technology showcase. The Toyota Prius hybrid first went on sale in 1997. The current model is shown. Toyota, which sold more than 1 million hybrid vehicles in 2013 for a second straight year, has more riding on the Prius' redesign than bragging rights. It will also show whether President Akio Toyoda's new product development strategy is on the right track. The new modular approach, dubbed Toyota New Global Architecture, aims to boost the number of parts shared among vehicles to improve quality and lower costs. But even one problem with a small part could multiply across millions of vehicles because of the new focus on commonization. The new hybrid system is expected to be smaller, lighter and more efficient. The company is targeting a fuel economy improvement of at least 10 percent over the third-generation Prius, which debuted in 2009. Toyota considers that the benchmark target for each new generation. "We need to prioritize fuel efficiency," Ogiso said. The next-generation hybrid system will be overhauled to support a wider range of engines and vehicle types, he said. It will go beyond the compact Prius C, standard Prius and Camry-class cars. Fuel efficiency will get a lift from a new gasoline engine with thermal efficiency rates above 40 percent, Ogiso added. 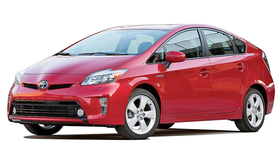 The current Prius engine, the most efficient in Toyota's fleet, has a 38.5 percent efficiency rate. Higher thermal efficiency means more energy is captured to power the wheels, and less is lost through heat. One technology won't be deployed in the next-generation hybrid system, Ogiso said: the energy-saving computer chips that Toyota unveiled in May. Such semiconductors manage the flow of electricity through the power control unit that integrates a hybrid vehicle's battery, motor and generator. The new ones will be made of silicon carbide and experience only a tenth of the energy loss of the silicon-based chips used today. The technology has the potential to deliver 10 percent better fuel efficiency because less energy is lost when the battery powers the car's electric motor or when the regenerative brakes recharge the battery. Ogiso said deployment of those chips is on a 2020 horizon.